Even the Brits agree: Holland is a great country to study and to live! Britain’s leading liberal newspaper The Guardian recently published an article singing the praises of studying in the Netherlands, written as a first account by a female British student. In the article Phoebe Dodds describes how she turned down a place at Cambridge in the UK – recently polled as the second most prestigious university in the world – to study in Amsterdam and not regretting it for one bit. 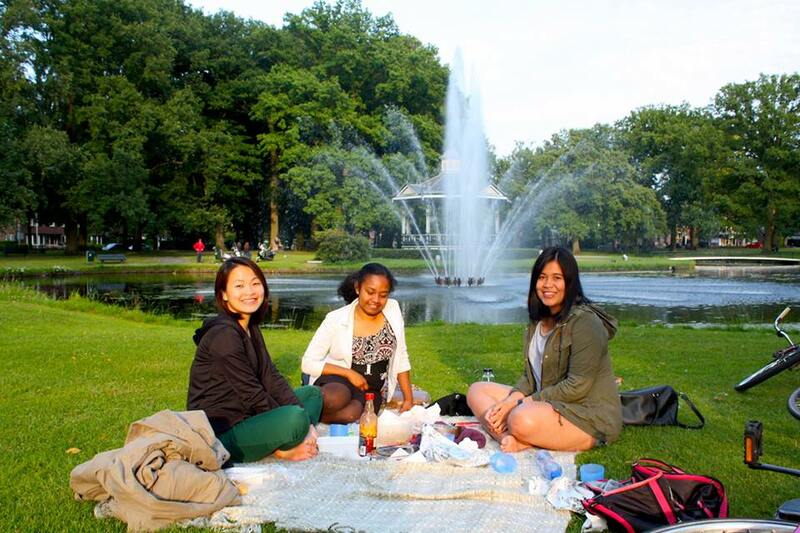 “The Netherlands is a very relaxed country and this laid-back vibe is central to the student experience,” Dodds writes. At Wittenborg University of Applied Sciences we could not agree more. In fact, from September 2015 Wittenborg will open a new location in Amsterdam offering a Bachelor IBA in Entrepreneurship and Small Business, adding a new dimension of flexible, international education to the city. In the meantime, Apeldoorn, will remain Wittenborg's headquarters. So what makes the Netherlands such a great country for international students? Without a doubt, Holland is the bicycle capital of the world. “The idea of jumping on your bike on a summer’s day to cycle down Amsterdam’s canals is pretty idyllic. But you have to cycle to get around every day, no matter what time of year…which mean you get daily exercise without any extra effort,” Dodds says. Furthermore, quality biking facilities – road design, parking - make cycling safe and attractive in Holland and make Dutch cities healthy and pretty accessible. The location of the Netherlands means weekend or summer trips to other European cities like Prague, Bruges, Paris and Budapest come by cheap and easy. Many international students at Wittenborg University organise their studies in such a way that there is plenty of time for them to travel around Europe. Wittenborg’s Master of Science degrees – MSc in International Tourism Management; MSc in International Event Management; and MSc in International Hospitality Mangement – are very popular with both Dutch and international students, providing them with a UK accredited degree from the University of Brighton, whilst studying the full programme in the Netherlands. Compared to other European countries, most Dutch people speak relatively good English. Still, it is a good idea to use the opportunity as a student to learn Dutch – especially if you are considering working in Holland after your studies and wish to integrate quickly into Dutch society and endear yourself to the locals. Just because the Dutch can speak English well, does not mean they want to all the time! In a survey released by DutchNews.nl this month, 84% of expats rate their life in the Netherlands as good to great. Just seven people in the poll of 1,300 rated their quality of life as poor, the survey, carried out online in mid-April, found. DutchNews.nl readers were also asked what aspects of living in the Netherlands they found most difficult to get to grips with. Top of the list was the language, with 31%. This was followed by the tax system (23%) and health service (15%). Adapted from the original Guardian article here.